From leading Britain to Davis Cup glory to attaining his best-ever world ranking of second, it's been a year to remember for Andy Murray. And on Sunday the Scot topped it off by winning his second Sports Personality of the Year Award. Rugby league star Kevin Sinfield was second, while heptathlete Jessica Ennis-Hill finished third. And after a glittering night of awards, social media was full of praise for the winners. 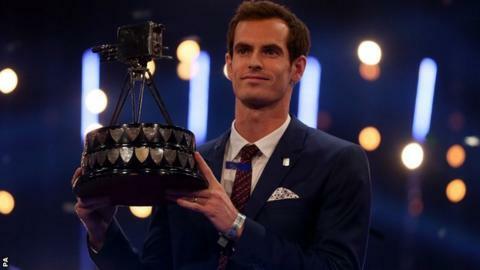 Murray became the first tennis player ever to win the award more than once - having also lifted the SPOTY trophy in 2013. Sinfield (making his sport's first ever appearance on the podium) and Ennis-Hill (making her fourth as an individual) were also popular choices on social media online. So where do 2015's top three fit in to the history of Sports Personality? And finally...how did Murray achieve his victory?